How does an adventure to uncover the big five sound? In the wild? In Africa? In your own private jeep? What dreams are truly made of, right? Certainly my mums anyway. For as long as I can remember, mums’ dream has been to witness elephants in the wild and to have my brother and I beside her. And so last week, in celebration of my mum turning half a century, we arrived in Kenya to make that very dream come true. (She’ll kill me for disclosing that. Love you mum – you look AMAZING. Evidence on Instagram – @wheresmum). The elephant. The buffalo. The rhino. The leopard. The lion. My brother and I took on the task of arranging a surprise eight day itinerary for mum’s dream adventure which was to include a mix of both safari and beach days. Mum then turned up to Heathrow airport on 19th March 2018 knowing she was flying into Nairobi, Kenya but had no idea what the following eight days would look like. She was in for one hell of a treat. 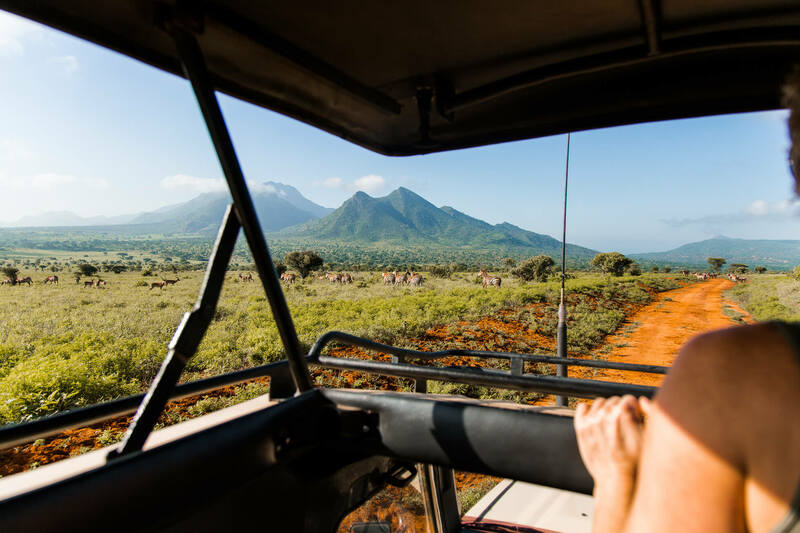 The safari we embarked on was certainly not a ‘budget adventure’ but all the costs included (aside from the accommodation which we could have swapped for something more basic) was necessary to get the insane experience we had. I’ll talk more about that later in the post. There are advantages and disadvantages to all seasons of the year, the best time to go really depends on what experience you’re looking for. 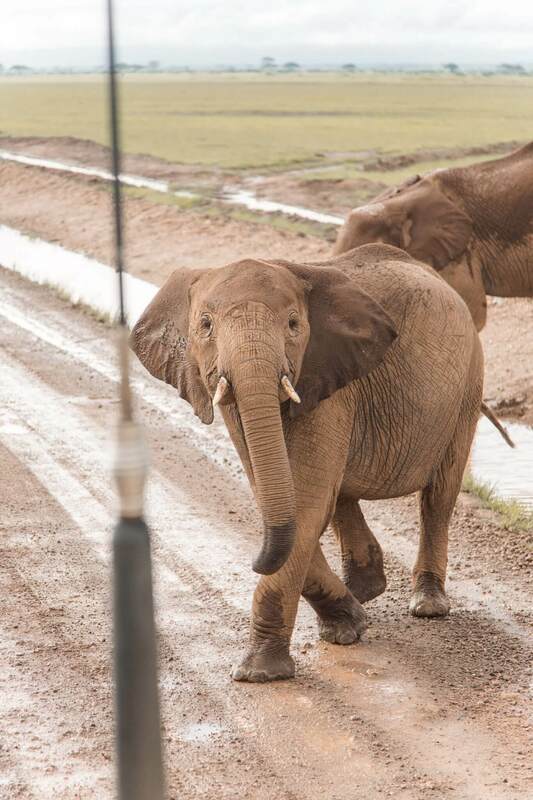 For us, we wanted to avoid heavy rain and tourism but wanted to maximise our chances of seeing the animals. We went second week of March due to aligning all of our work schedules and it ended up being perfect. 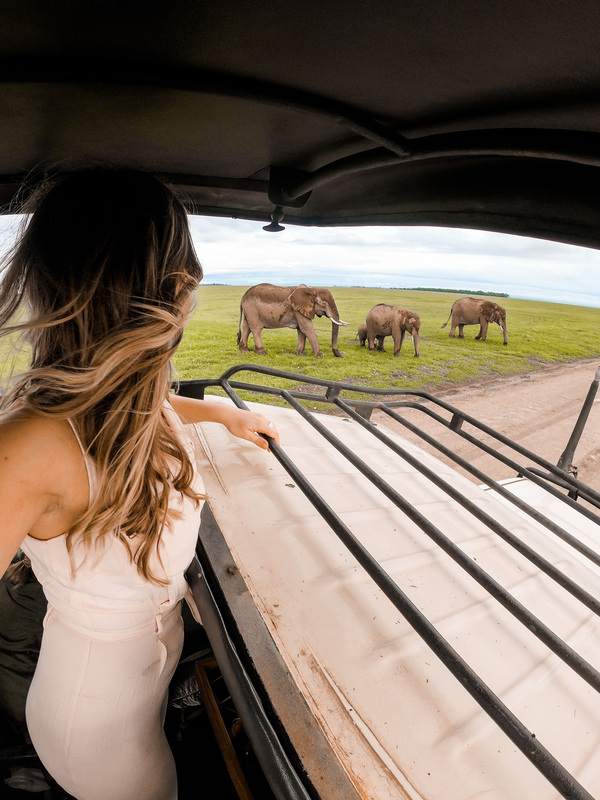 We saw so many animals and there were hardly any other jeeps / safaris so it felt like we had the parks and hotels to ourselves – a very special experience. Note: The week before we arrived, Kenya had received more rain than they’d had in over two years. There was a lot of flooding through the parks and the roads are dirt tracks so a lot of them were damaged and closed. This meant we had to actually cancel a hotel booking and adjust our route. Top tip: If you do take a risk with weather and book within rainy season like we did, try and book hotels where you pay on arrival. We had reserved our hotels on booking.com and had already paid when our driver told us the road was impossible and closed. Luckily because the weather had been so extreme, the manager of said hotel refunded us our room price because we couldn’t get to the hotel without a 4 hour detour! June – October is the best weather window in Kenya as in this time you reduce your chances of rain and mosquitos. The ‘worst’ weather sits in March, April and May – considered the peak of rainy season. If weather is bad enough, some parks shut. We visited in March (19th – 28th) and had a few nights of rain but nothing in the day! As with anywhere, you take a risk by going in rainy reason but you can save a lot of money and avoid heavy tourism. Our experience proves rain isn’t guaranteed. Advantages also include beautiful green landscapes! The best time for animals? End of June – September. This is when the animals migrate distances of around 2000km over to Kenya from Tanzania and ‘the greatest wildlife show on earth’ takes centre stage. The great migration is supposedly the greatest mass movement of land mammals on the entire globe so as you can imagine, during these months, people come in from all over the world. Parks can get busy and very crowded but for good reason. 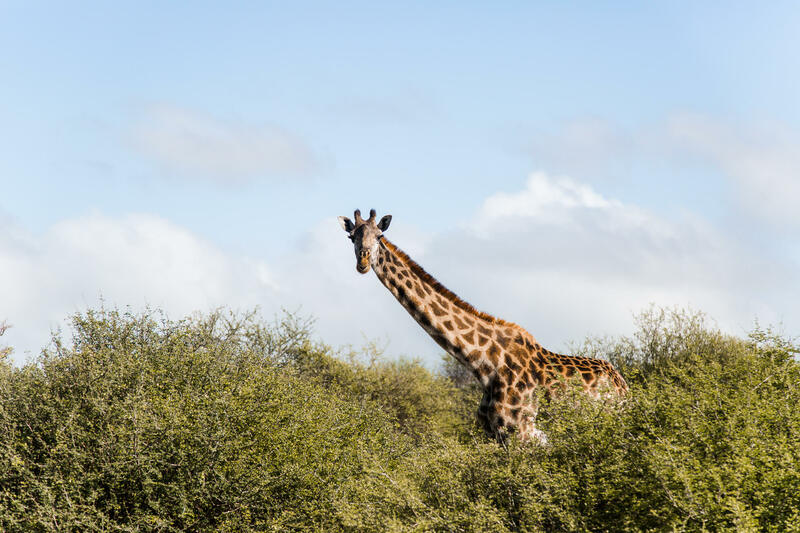 Wildlife can also be easier to spot during June – September (the drier months) because there’s less foilage and bush and animals will head to watering holes. Allll the elephants, lions, giraffes, hippos, crocodiles and zebras amongst a millions dik diks (yup it’s a thing – google them! ), gazelles, grand gazelle, orix, buffallo, wart hog (pumba), impala, heart beast and guinea fowls! Honestly, all the birds and bee’s and trees and birds, I couldn’t possibly remember all the names but it was sensational. ‘June is ideal, you’ll catch the migration, you’re at the beginning of the peak season but may just miss it and there’s 50/50 chance of rain. You optimise your experience being a good one in June. If you go during the migration, be sure to locate yourself near the River Mara!’ Ishmal (The driver we hired from Africa Safari Discovery). 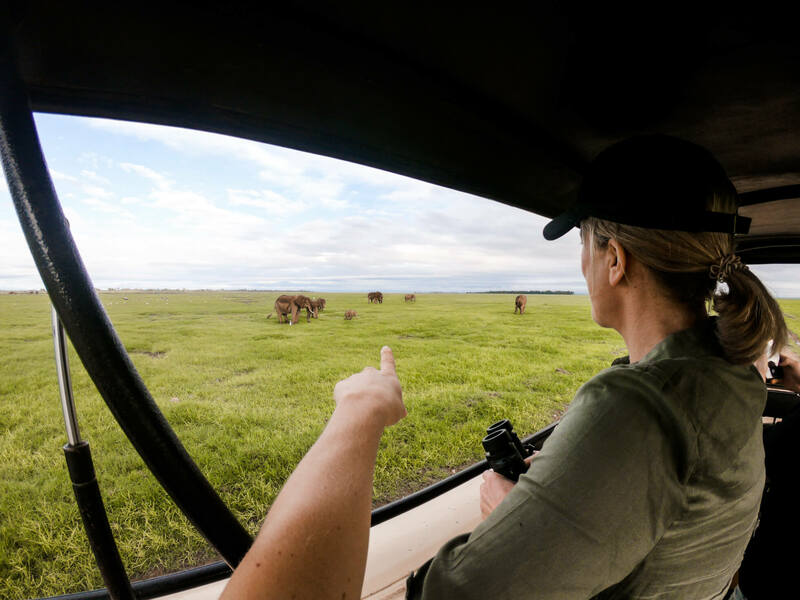 How do you go about planning a safari? 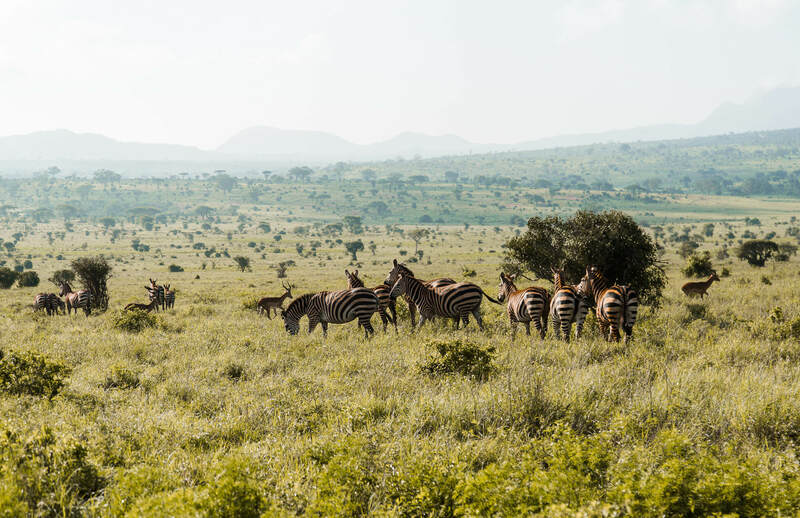 Different parks can have higher chances of seeing different animals so visiting a combination of parks is a popular choice to maximise the number of animals you see in the wild. Most of the accommodation and lodges will have game drives that you can pay a fee and book on to (like an excursion). 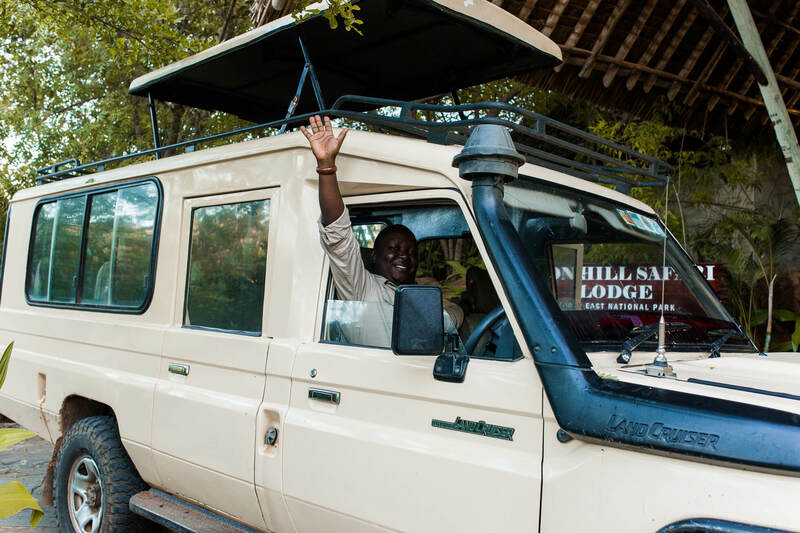 You can hire a safari vehicle and self navigate the game drives or you can spend extra and have an experienced driver and guide come with you on your adventure. Understandably you may be looking to cut costs where possible on this trip but I cannot recommend having a guide enough. Now that i’ve experienced safari with one, i think i’d always spend the extra money to have one. We paid around £1000 for the epic Land Cruiser and our driver / guide for 5 days through Africa Safari Discovery. He can take a family photo for you! BOOK YOUR TRANSPORT, YOUR ACCOMMODATION AND YOUR FLIGHT! 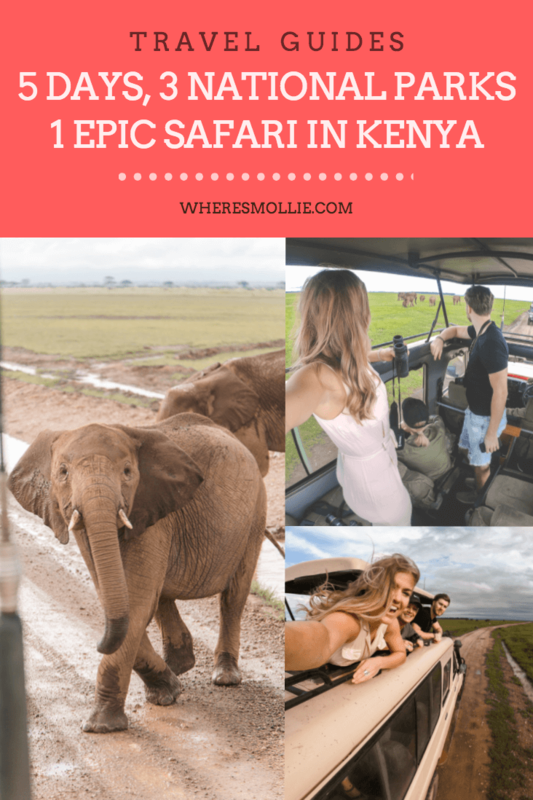 Extra information and FAQ’S for safari…. If your driver is with you for 5 days, do you have to provide accommodation for them for 5 days? Nope. It’s an extremely popular set up for a safari and so all the accommodations (the ones we went to anyway) had housing on site for the drivers to use. I think they give them meals too as encouragement to bring in the business I guess. Do you have to pay to enter the National Parks? Yes. This was a cost we weren’t made aware of. As far as I know, this isn’t something included in any of your accommodation but i may well be wrong. For the three parks we visited we each had to purchase a pass (valid 24 hours) for every day we were there. Penalties apply if you have exceeded your time upon exit. Student rates exist so if you have a card – take it. Prices were the same for the parks we went to $52 for one adult for 24 hours. Certainly a cost to factor into your planning! Do you need to take malaria tablets? Touchdown in Kenya had us land in Nairobi with British Airways at 10pm. If you’ve read my top tips and preparations for travelling in Kenya you’ll know that it’s strongly advised to not drive at night for safety reasons. For this reason (and because the first park was a few hours drive away) we booked into the Sheraton Hotel by the airport for a peaceful nights sleep. On the morning of day two we woke at the Sheraton Hotel and met our driver Ishmael who came with our wagon for the week! it actually seated like 7 people so it was super spacious for the three of us to cruise around in. Once we’d done our hellos we began oberserving the change of scenery as we drove through the urban city life down to the plains of Amboseli National Park. As mentioned previously, for the week prior to our arrival Kenya had had masses of rain so the drive was pretty muddy and many roads were still flooded. We stayed in Amboseli National Park for two nights at Ol Tukai Lodge. 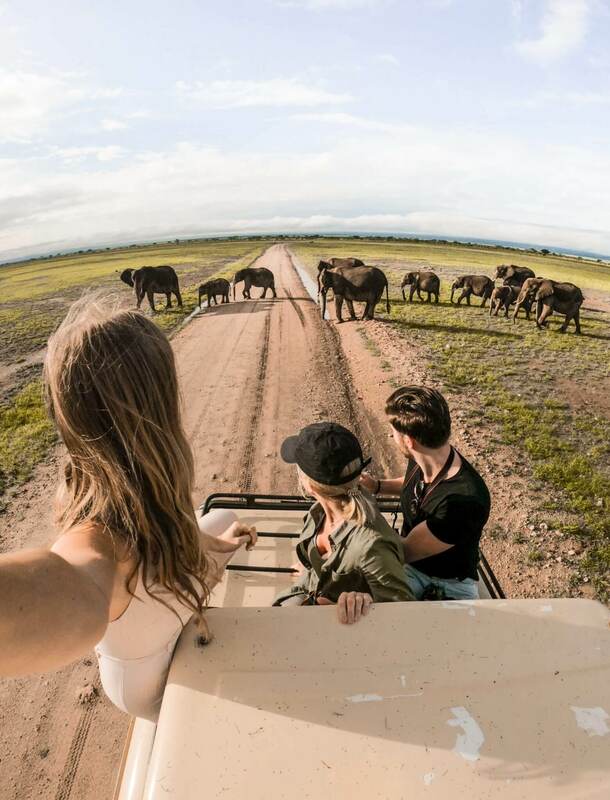 One of the best places in Africa to spot Elephants and have up close encounters! Ol Tukai lodge looks out over the game reserve so you can lie by the pool and spot elephants and hippos from your lounger! Insane! ALL the elephants and giraffes, a few lion spottings and a crazy amount of hippos! Don’t want to take the limelight away from all the other animals but of course these are the animals we dreamt of seeing! After a final morning game drive in Amboseli Ishmael drove us 112km across Kenya to Tsavo West, another National Park where we checked into Kilaguni Serena Safari Lodge. Holy scha-molies, the view when you walk into this place. The whole dining and bar area looks over a man-made watering hole where the animals come to drink and play. You’ll find it hard not to sit there all day and gaze. If you bag yourself a room with a balcony over the watering hole – you’ll be finding it hard to sleep. A serious ‘instagram goals’ location. Tsavo National Park was split into two because of the railway that runs from Mombasa to middle of Kenya. As a whole, Tsavo is the largest national park in Kenya sitting at 2,000km2. Tsavo West has a pretty mountainous terrain and had the best safari landscape of the trip in my opinion! We spotted so many leopard prints but just missed the spotting.We saw lots of zebra and giraffes here and even saw the elephants come to the watering hole at breakfast! Our last night on safari was spent at a lodge on Lion’s Hill which has been names for a reason. Right in view from the dining area is a hill of rocks and lions are no stranger here. Unfortunately we weren’t there long enough to spot them but it’s a stunning location regardless. There’s an infinity pool and views over the plains as far as the horizon. The terrain here is pretty flat when you compare it to Tsavo West. I had no idea the beaches in Kenya were so beautiful? The best i’ve been to! STAY TUNED FOR THE BLOG POST! Be sure to check out all my top tips and information regarding visas and malaria tablets in this post here.